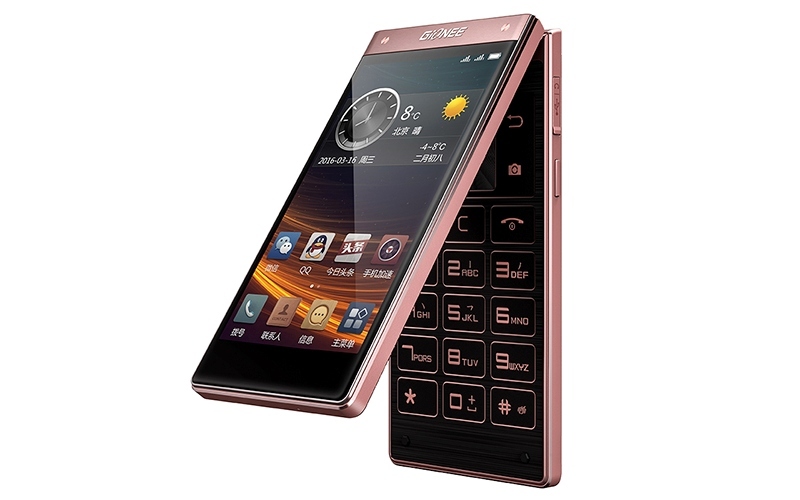 As expected, Gionee on Tuesday launched its W909 clamshell Android smartphone in China. Priced at CNY 3,999 (roughly Rs. 41,000), the handset is already up for pre-orders in the country. Its availability details outside China have not yet been mentioned. It is worth mentioning that the Gionee W909 is also arguably one of the first flip phones in the market to come with a fingerprint sensor, USB Type-C port, and dual touchscreens as well. It sports a metal build and houses some high-end specifications under-the-hood. The Gionee W909 runs Android 5.1 Lollipop and supports dual-SIM functionality. It includes two 4.2-inch HD (720×1280 pixels) resolution IPS display, with the outer display featuring a 2.5D glass. The smartphone is powered by an octa-core MediaTek MT6755M processor, clubbed with 4GB of LPDDR3 RAM. The smartphone bears 64GB of inbuilt storage, of which 52GB is user-accessible. The built-in storage can be expanded via microSD card (up to 128GB). The Gionee W909 bears a 16-megapixel rear camera with phase detection autofocus (PDAF) and LED flash, along with a 5-megapixel front-facing camera. On the connectivity front, the flip phone supports 4G LTE networks, along with Bluetooth v4.0, GPS, Wi-Fi, and USB Type-C connectivity. Backed by a 2530mAh battery, the W909 on paper can deliver up to 29.7 hours of talk time and 408 hours of standby time. It measures 124.1×62.8×16.5mm, weighs 207 grams, and features a fingerprint sensor at the back that can unlock the handset in 0.38 seconds. 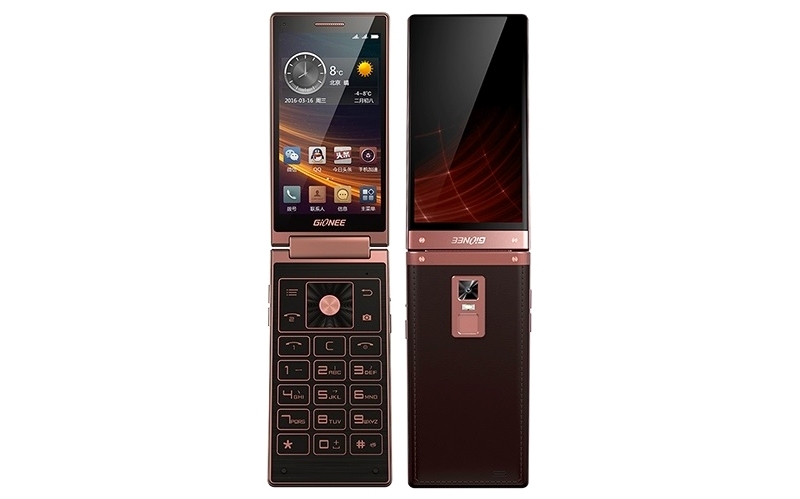 Since the Gionee W909 carries a flip phone design, it also has T9 keypad with physical buttons to navigate, launch the camera and more, besides having an on-screen keyboard. It is only available in Rose Gold colour variant. The last flip phone by a popular tech brand was seen by Samsung in November last year as it launchedthe W2016 smartphone in China. The Android-based dual-SIM smartphone features two 3.9-inch Super Amoled touchscreens, both with WXGA (768×1280 pixels) resolution. Although it sports nearly the same innards as the Gionee W909, it lags behind in terms of battery and RAM. It also misses out on a fingerprint sensor and USB Type-C connectivity. LG too last year launched its flip phone, the Wine Smart but with less-powerful specifications.